Imaginez vous dînant, ou déjeunant en tête a tête ou en groupe dans un cadre somptueux et a chaque bouchée de délice, vos yeux découvrent la vue panoramique sur la mer et la merveilleuse promenade de Netanya. 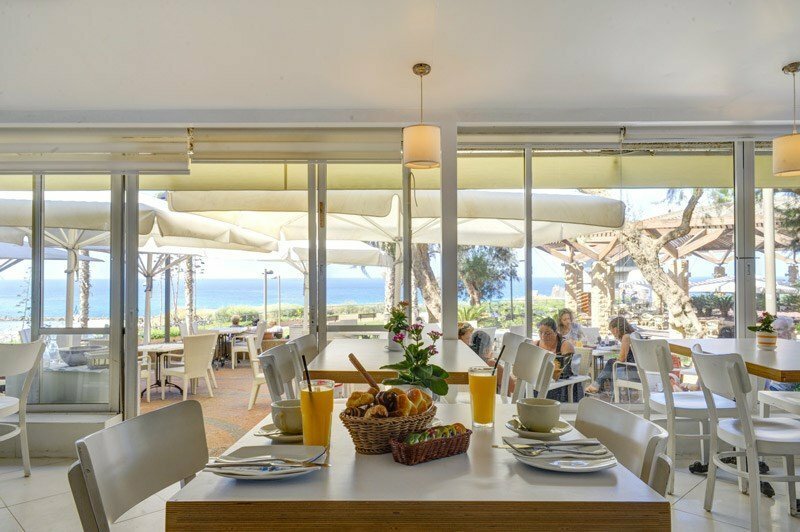 The Yossef Restaurant prides itself on attentive and pampering service according to the traditions of the Ziv Hotel chain and is one of the reasons why the Yossef is chosen again and again from the many restaurants in Netanya. 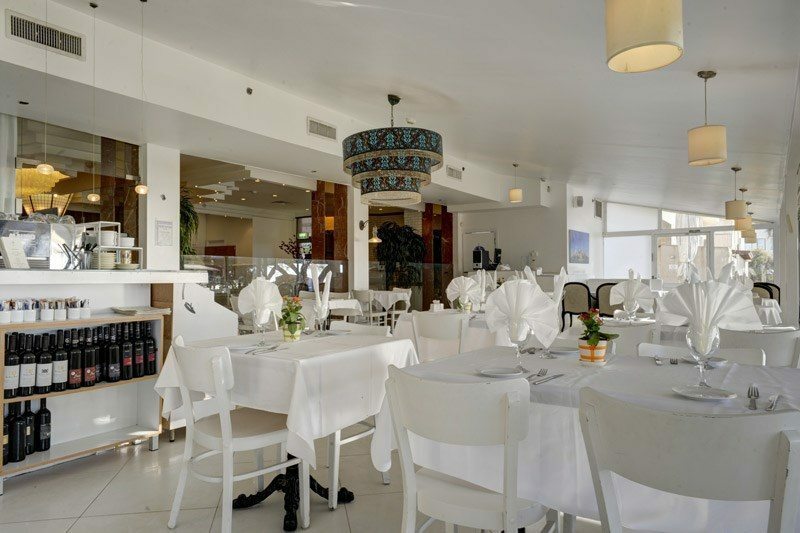 The Yossef Restaurant is a kosher restaurant specializing in gourmet French cuisine and serves a dairy menu until 12:00 and for the rest of the day a meat menu. 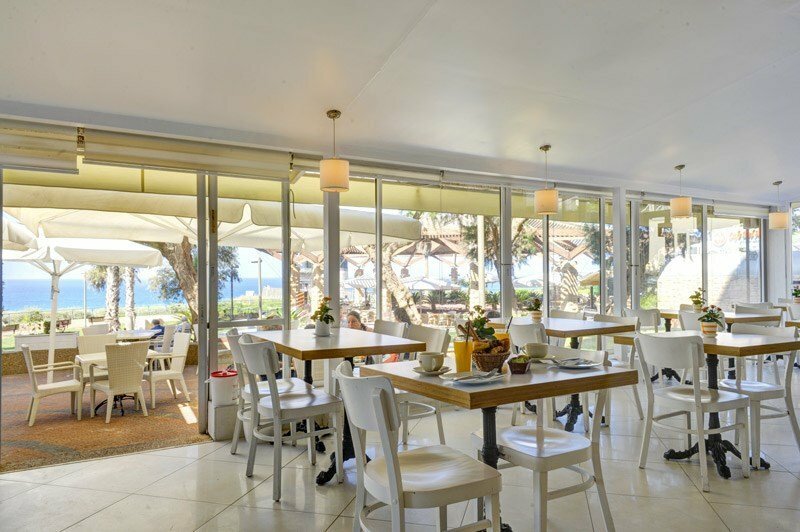 During the morning, you can spoil yourself with a fresh baguette, French crepes and strong, stimulating coffee. In the evening, pamper yourself with a juicy steak in a mushroom sauce, accompanied by a bottle of fine red wine or try exquisite fresh fish dishes and a bottle of chilled white wine. 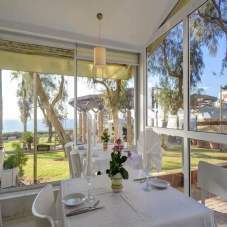 Guests at Ziv Hotels, the Galil, the Residence and the Residence Beach enjoy a discount at the Yossef. If you want to hold a special meeting or a private event, you can choose Netanya restaurants with separate halls. Here too, the Yossef stands out and offers a private hall with space for up to 80 people in an intimate atmosphere and a magical sea view. If you're holidaying in Netanya or just passing through, there are many reasons for staying, and the Yossef Restaurant is one of them!